La BBC publica para su web de Gales un artículo en el que informa a sus lectores de que el barco del siglo XV encontrado en el río Usk en Newport en 2002 podría haber sido construido en Euskadi. Se trata, según los arqueólogos, de los restos mejor conservados de un barco de esta época y desde que fue encontrado en 2002 ha sido un centro de atención tanto para los científicos e historiadores, como para la población y autoridades de Newport, como para la propia BBC, que le ha dedicado varios artículos y reportajes. Les dejamos el enlace a la noticia aparecida sobre la confirmación de la relación de esta nave con los vascos. Además les dejamos un listado de las noticias que sobre este asunto ha publicado la BBC, entre laa que se incluye algún interesante reportaje en video. Por cierto, el País Vasco no es una región. O al menos lo es tanto (o, mejor dicho, tan poco) como Gales o Inglaterra o Escocia. A medieval ship discovered on the banks of the River Usk in Newport in 2002 may have come from the Basque country in Spain. The vessel has been called the world’s best example of a 15th Century ship by archaeologists. And new evidence has found that the timbers from the ship have been matched to projects built in the Basque region. It includes new data from medieval buildings in the Araba and Navarra areas of Spain. A medieval ship older than the Mary Rose is to be saved and put on permanent display in south Wales. The Welsh Assembly has promised up to £3m for the 15th century ship to be lifted from its resting place in mud on the river front in Newport, south Wales and preserved as an historic tourist attraction. Hundreds of timbers from the ship are being kept in clean water in special tanks at a warehouse in the city, with a multi-national of experts working on them. But the council said it might have problems in finding the £300,000 needed each year, as part of the long-term. n the summer of 2002, thousands flocked to the banks of the River Usk in Newport, to see a piece of history. In the middle of a building site, the mud had been cleared to reveal the 500-year-old remains of a trading ship. Built in 1447, it is the world’s best preserved example of a 15th Century vessel. Nearly ten years after it was uncovered, archaeologists are still making new discoveries about life on board. 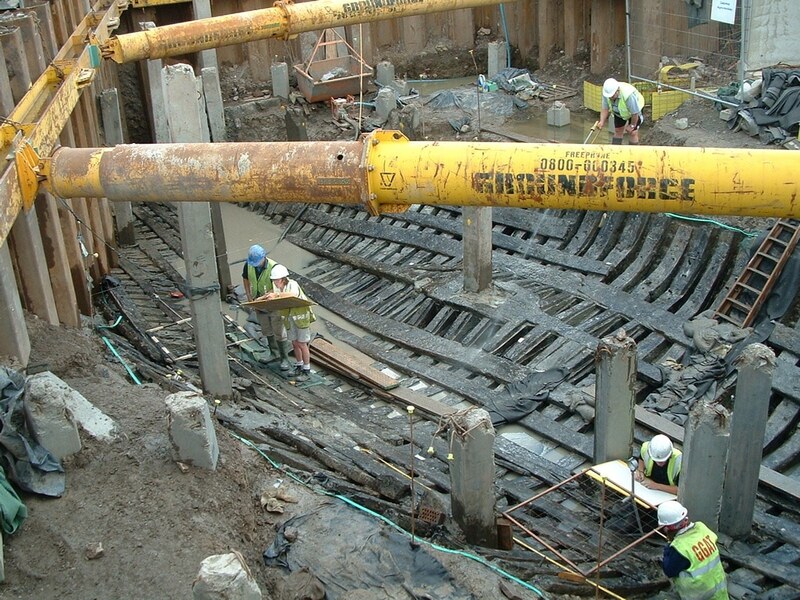 A decade after a medieval ship was unearthed in Newport, work to preserve it is still continuing. But as Jordan Davies reports, it could be at least another five years before it is reconstructed and on public display.